Provides an Unobstructed View of All Structures. 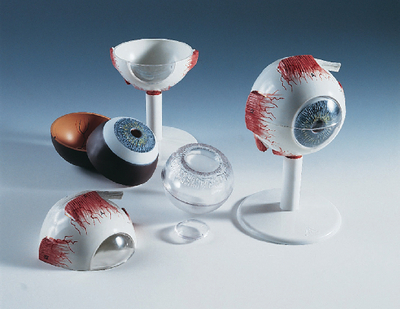 The model can be separated into both halves of the sclera with cornea and eye muscle attachments as well as both halves of the choroid with the iris and retina, lens, and vitreous body. The six-piece model is mounted on a base.